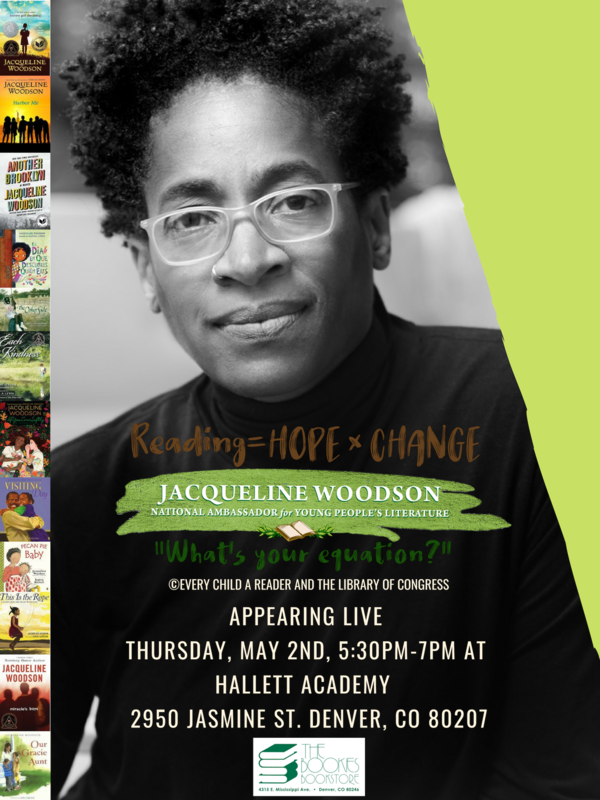 Jacqueline Woodson is coming to Denver and we're going to be hosting an evening community event for families with her! As her role as the National Ambassador for Young People’s Literature she is trying to reach the under-served, the marginalized and diverse groups. Her platform for this is, "Reading = Hope X Change (What's Your Equation? )".